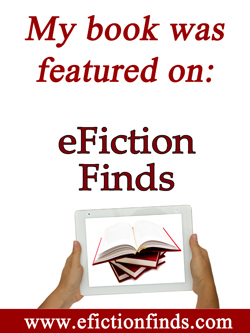 Do you have a young teen who devours fiction? Rightfully Ours by Carolyn Astfalk is the ideal book for them! Tagline: A coming-of-age story of first love, buried treasure, and discovering some things are worth the wait. Blurb: Sixteen-year-old Paul Porter’s relocation to Pennsylvania is a temporary move during his dad’s deployment. Or so he and his brother think, until devastating news lands on their doorstep. Paul’s new home with the Muellers provides solace, especially in the form of Rachel, his friend and confidante. Their abiding friendship deepens as they work side by side to uncover what could be lost treasure. Will they acquire the strength of character and virtue to take only what rightfully belongs to them or are they in way over their heads, with more than a few lost artifacts at stake? An unexpected detour left them lost in the dark. Paul had been certain they were heading the right way, but the two-lane country roads they had traveled the last half hour had few markers, and his older brother questioned whether they had missed a junction sign. Paul’s grip tightened on the clumsily-folded map as he peered out window. Maybe Sean should drag his knuckles out of the Stone Age and get a GPS. Paul had been anxious about this move more than the others, even though it would only be temporary. The claw-like limbs of the barren trees whizzing by his window made the whole ordeal seem even more foreboding. He’d never been through North Central Pennsylvania, but in the daylight, the mountains would probably be beautiful, if a little desolate. It’s only for a few months. By spring, Dad would be home, and things would go back to normal. Normal for them anyway. Besides, maybe he’d like it here. “We just passed it,” Sean said over the acid rock music blaring from the speakers. “I thought you were watching for signs. Some navigator you are.” Sean scowled and jerked the wheel to the right, causing the truck to careen onto the berm and Paul to slam into the door. Paul rubbed his shoulder where it had smacked the door and sat upright. “I’m sorry, okay? I guess my mind wandered.” He’d swear “In-A-Gadda-Da-Vida” had been playing for the last half hour. He hoped to God at least one other radio station had a signal strong enough to carry over the mountain they’d crossed. “Yeah, you’ll be sorry when we run out of gas and have to sleep in this truck.” Sean sat hunched over the wheel, his strong arms gripping the ten and two-o’clock positions. His left leg, forever encased in worn denim, bounced erratically in a rhythm out of sync with the booming bass rattling the speakers. He pulled into a narrow gravel drive and backed the car out onto the main road, completing his three-point turn. The high beams caught a pair of glowing eyes sinking into the underbrush on the opposite side of the road. Paul suddenly felt ten years younger than Sean instead of the four that separated them. “There it is, on the right.” Paul pointed to a road sign obscured by an overgrown sumac tree. Sean turned right, and in the space of a mile, the road went from desolate rural to brightly-lit business district. He swung the truck into the hotel parking lot, rolling over a speed bump with a jolt that made Paul glance out the rear window to see if the pickup had lost any critical parts. The parking lot islands were filled with mounds of clay and not a living thing grew around the building, which looked as if it had been assembled and dropped into place like a giant LEGO creation. “Well, if it’s new, at least the mattresses should be good.” Sean killed the engine and shoved his keys in his pocket. Apparently Sean had chosen to look for the silver lining, like he had when he first told Paul about this move. What he meant, Paul thought, was that he might meet a girl—the girl—something that, despite his good looks, he hadn’t had any luck with at home in Maryland. Paul recognized he didn’t have a choice in the matter and settled for making the best of the situation. Still, he felt uneasy about the whole thing. There was a finality about it. He couldn’t put his finger on it, but he sensed that this move wasn’t going to be what either of them expected. Carolyn Astfalk resides with her husband and four children in Hershey, Pennsylvania, where it smells like either chocolate or manure, depending on wind direction. She is the author of the inspirational romances Stay With Me and Ornamental Graces and the coming-of-age story Rightfully Ours. Carolyn is a member of the Catholic Writers Guild and Pennwriters and a CatholicMom.com contributor. Formerly, she served as the communications director of the Pennsylvania Catholic Conference, the public affairs agency of Pennsylvania’s Catholic bishops. True to her Pittsburgh roots, she still says “pop” instead of “soda,” although her beverage of choice is tea. You can find her online at www.carolynastfalk.com. Rightfully Ours, by Carolyn Astfalk, Kindle edition, is free through July 3, 2017. Sixteen-year-old Paul Porter’s relocation to Pennsylvania is a temporary move during his dad’s deployment. Or so he and his brother think, until devastating news lands on their doorstep. Paul’s new home with the Muellers provides solace, especially in the form of Rachel, his friend and confidante. Their abiding friendship deepens as they work side by side to uncover what could be lost treasure. Will they acquire the strength of character and virtue to take only what rightfully belongs to them or are they in way over their heads, with more than a few lost artifacts at stake? To download the Kindle edition for free, click here. FQ Publishing is hosting a giveaway for three paperback copies of Rightfully Ours. Enter here to win a copy! Young Adult Religious Fiction. A coming-of-age story of first love, buried treasure, and discovering some things are worth the wait. Paul’s new home with the Muellers provides solace, especially in the form of Rachel, his friend, and confidante. Their abiding friendship deepens as they work side by side to uncover what could be lost treasure. Will they acquire the strength of character and virtue to take only what rightfully belongs to them or are they in way over their heads, with more than a few lost artifacts at stake. I’m pleased to be hosting Carolyn Astfalk on her Virtual Book Tour for Rightfully Ours! Below find links, blurbs and all kinds of other information about the book! looked as if it had been assembled and dropped into place like a giant LEGO creation. What he meant, Paul thought, was that he might meet a girl—the girl—something that, despite his good looks, he hadn’t had any luck with at home in Maryland. Paul recognized he didn’t have a choice in the matter and settled for making the best of the situation. Still, he felt uneasy about the whole thing. There was a finality about it. He couldn’t put his finger on it, but he sensed that this move wasn’t going to be what either of them expected. Rightfully Ours, by Carolyn Astfalk, Kindle edition is now available for pre-order on Amazon.com before its release date of April 1, 2017. To pre-order the Kindle edition, click here. FQP’s new young adult novel, Rightfully Ours by Carolyn Astfalk, will be released on April 1st on Kindle and later in April for the paperback edition. Special thanks to cover models Paul and Sydney.